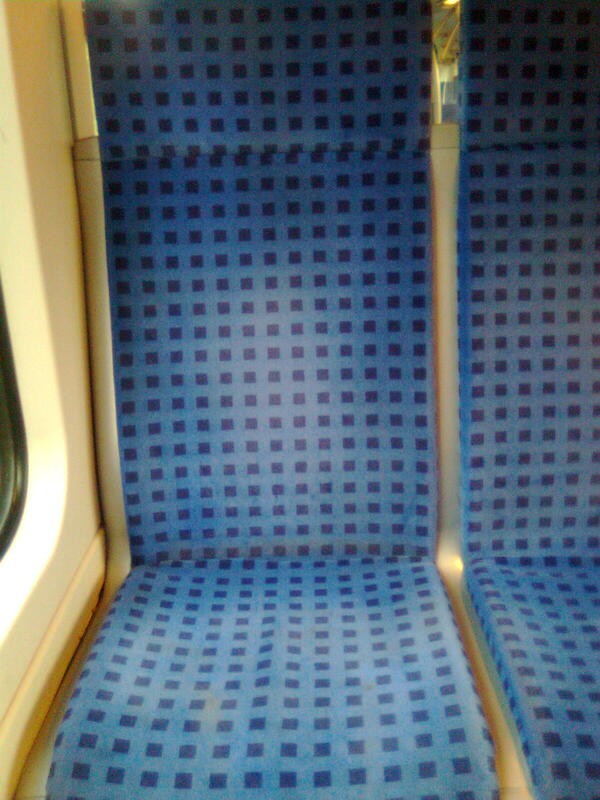 After Here Through Willich: Those train seat covers in full! 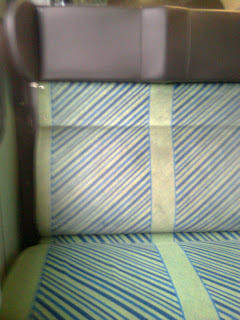 Those train seat covers in full! So, here they are then. Those seat covers you've all been waiting for! And if you look carefully you'll see that the only one I've described in detail is described totally badly and incorrectly. Let's look at that one then, and get it over with. It's a jazzy, modern design which seems to be on the newer trains. Usually I see them on the Aachen-Duisburg train in the morning. The next one is one of the older versions, green is a much more relaxing colour to look at, and the headrest parts are a faux-leather (or horrible plastic) kind of thing. 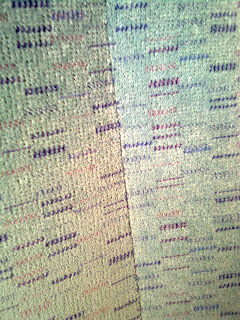 Finally the seat covers on the spiffy double-decker trains are a relaxing but horribly bland and boring grey/green affair. 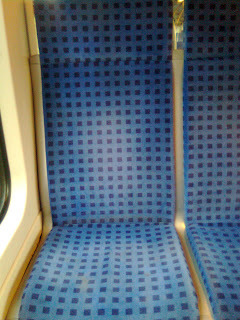 I suppose I should be glad that there are a) seats and that b) they are not all slashed up. 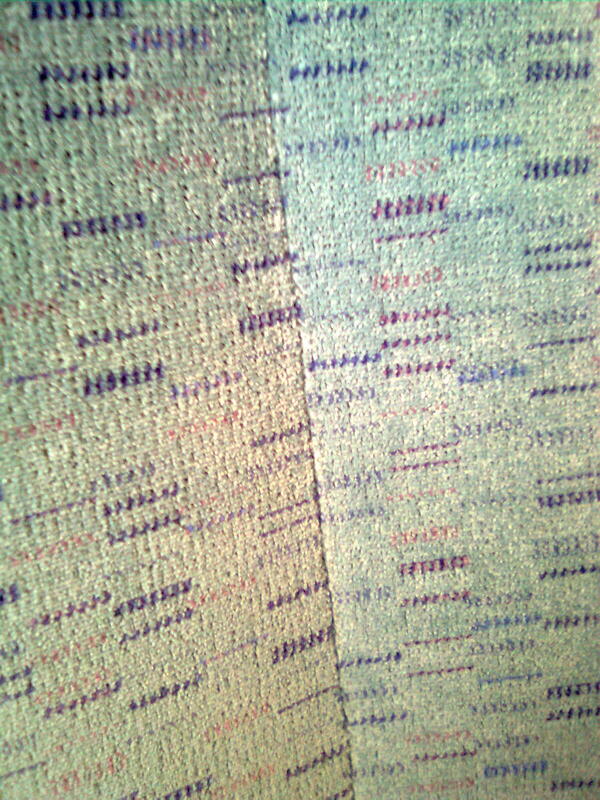 The bus seat covers are way more jazzy and therefore get their own blog post. why don't you get Sherlok Holmes to find the person who desings them . Do you think that it would be a good job for me? Maybe they would be even worse!! Now what does it say about me that I actually looked forward to you posting these pictures? 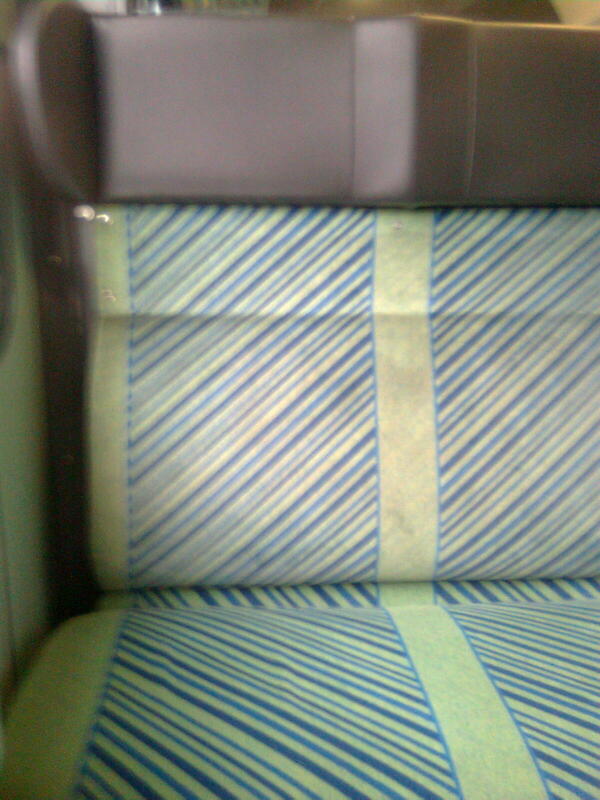 It says to me: you have too much time on your hands and you decided to use your free day looking at bus seat covers rather than something useful and or entertaining. You, my dear, are practically beyond help!!! Panic over: the radio is tuned! Tempting fate - tempting, isn't it?